Presenting a great pickup line, shampoo name, and advertising headline all rolled into one. 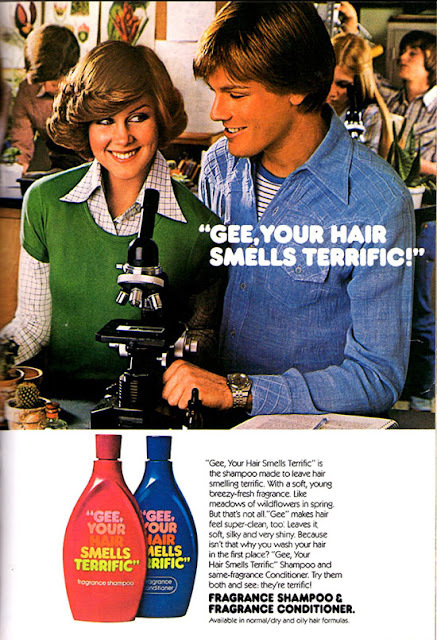 Gee, is it any wonder why we can no longer find Gee Your Hair Smells Terrific on drugstore shelves? 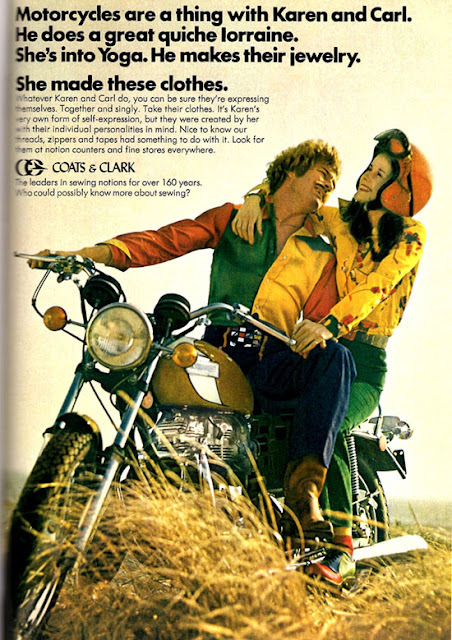 Visually it's not your typical colorful 70s advertisement (although the black and white photography and handwritten-like copy make it very much ahead of its time.) However, I wanted to bring everyone's attention to the copy floating above the Easy Rider lookalike and his bored looking girlfriend: "In real life, the guy's hair would be matted down from the helmet. The chick would be your woman instead of a New York model." Note that "your" was underlined for emphasis. Thanks a lot, Landlubber. For your information, the model you've chosen is hardly Carol Alt - more like Linda McCartney after toking a little too long with Paul. But at least they provide their mailing address in the ad - female consumers knew where to send the hate mail. 3. Fugly clothes are a thing with Karen and Carl. Looking at this one, I initially thought it was a motorcycle advertisement. 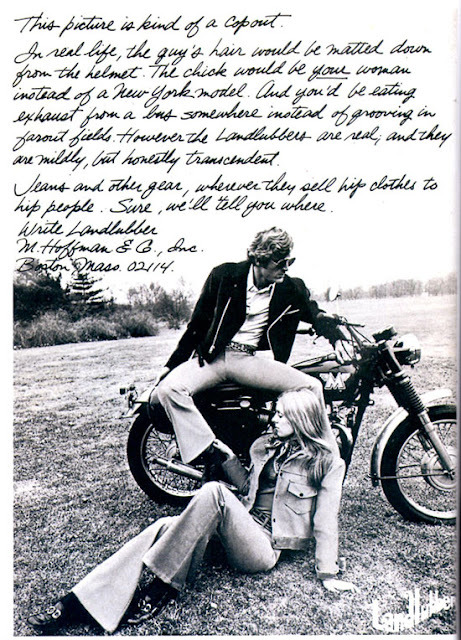 Instead, it provides too much random information about Karen and Carl: she's into yoga and therefore, trying out new sexual positions; he's into making jewelry and quiches (such a progressive male exploring his feminine side in the 70s.) She makes their clothes - and apparently is into pairing awful colors such as orange with bright yellow and green (and she's even got matching Ronald McDonald shoes - yuck!) Karen, maybe you oughta let Carl take over the sewing machine for a while...seeing as how he's got that creative side to him. I totally remember that "Gee your hair smells terrific" ad...and the shampoo!!! I'd totally forgotten it until you brought it up today...thanks for the memories! I LOVE retro blogs for this reason! You rock, lady! Oh, and as fugly clothes go, the 70s, the crafties, Buttericks and Simplicity et al. never had a shortage; from hats and vests made of beer cans, to crocheted slippers. My dad got a very large and bright red Bow Tie, hand made on a machine by me, all very technically correct as I used all the tools and graded by my Home Ec. teacher. My Dad looked very smart when he wore it, once. haha. 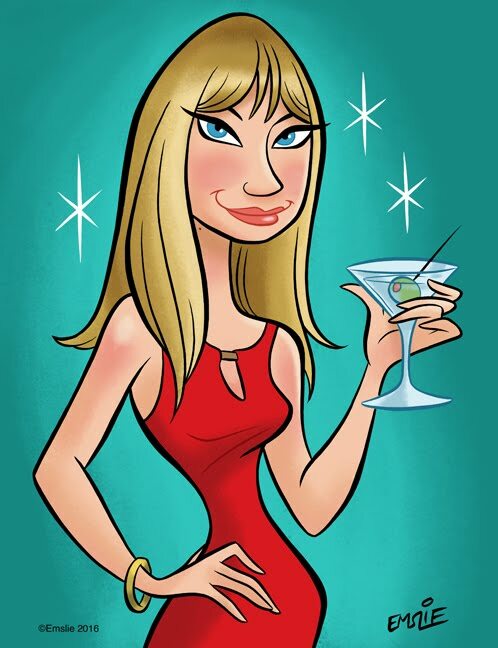 Thx Pam! I can't say I ever heard of it, but I'm glad it brought back memories for you, Marlene! Stay-at-home-dad, the unique shampoo product I most was Squeak. It was supposed to get your hair so clean, it would...well, you know. I love looking at old ads. Thanks for sharing these. I didn't remember that it was an actual shampoo, I thought that this was just a line in an ad campaign for some other shampoo. I loved the smell of Prell when I was a kid. Those fugly clothes make me laugh on the inside.